Social media is all about sharing interesting stuff. Pictures, because of its vividness and the ability to describe things with more clarity certainly take the lead. Colored images took over the good old black & white images long back, so what is going to bring revolution in the sphere of image sharing? The answer is – speaking pictures. Voxweb, a company that has devised a tool to share speaking pictures, which are distinctly marked in orange color, is getting popular amongst the users across the globe. The pictures look similar to the normal colored ones, except they have an orange line beneath. It indicates that it is a speaking picture. A user just needs to tap on the line to let the picture speak. It has taken users by storm, and as a result, the user base of Voxweb’s android and iOS application is rising. In order to capture a speaking picture, a user needs to take a photo and record a voice message which can be up to 11 seconds long. Once done, the user has the ability to share it amongst their contacts. Although integration on popular social media sites like Facebook might take a little while, but the concept of sharing speaking pictures looks promising. Users across the globe are sending and sharing the messages. And its sheer popularity is forcing social media giants to think about implementing it on their platforms. The speech was one of the most sought after dimension while capturing pictures, as it implicitly expresses the emotions. Such pictures are more vivid and give the recipient a very rich experience. 11-second is just about the perfect span for capturing emotions with the images. Most of the users across the globe are now watching out for the orange line, which marks emotion-rich images. Orange line for speaking images might as well be an explicit mark. Although it might take some time to evolve, but it seems to be working – at least for the company and its users. The company has made it a point to keep it plain and simple. Moreover, the app is available for free download on both apple and android platforms. For over a few months ever since the app has been around, it has done a fine job in giving its user base a new flavor. Imagine sharing an emotion-packed image with your friends and loved ones, and letting them hear out your emotions. There are enough research pointing out how voices can deepen the impact of an image. The founders of Voxweb seem to have harnessed it. Perhaps, you could soon see dignitaries, officials, and celebrities putting up speaking pictures on their official social media account. While colored photos were one of the greatest blessings of the 20th century, speaking pictures are taking up the same role in the 21st century. 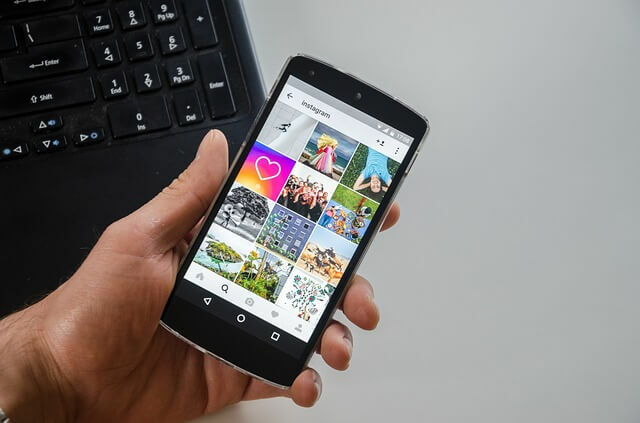 In order to encourage users to take speaking pictures, the app allows a user to user sharing and has a small community where users can put up their pictures. It is going to be a big bet on social media, just like how Zynga games changed social media, and the latter changed the way people used the internet. How Can Internet Marketing Services Help Build My Business?